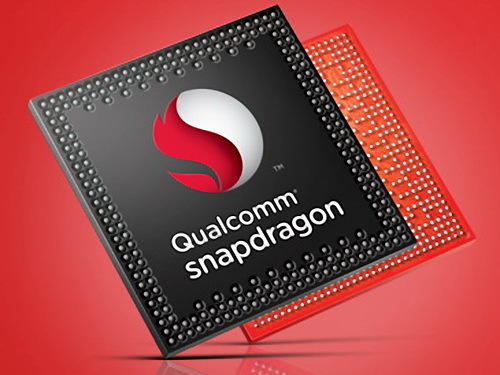 The Qualcomm Snapdragon 410 (MSM8916) is a ARM based mid-range SoC for tablets and smartphones (mostly Android based). It was announced in Dec. 2013 and was the first 64-Bit SoC by Qualcomm. It integrates four ARM Cortex-A53 (quad-core) processor cores, a Adreno 306 graphics card, a 64 Bit LPDDR2/3 memory controller and WLAN, Bluetooth, and UMTS/LTE radio. The Qualcomm Snapdragon 415 (8929) is an ARM-based mid-range SoC for tablets and smartphones (mostly Android based). It was announced in February 2015 and integrates eight 64-Bit Cortex-A53 CPU cores (octa-core) that clock with up to 1.4 GHz. Furthermore, there is a Adreno 405 graphics card, a LPDDR3 memory controller (max. 667 MHz, 5.3 GB/s) and wireless radios for WiFi and 4G/LTE included in the chip. The Cortex-A53 is the successor of the entry level Cortex-A7 CPU cores. The A53 is now capable of 64 Bit (ARMv8-ISA) and adressing more than 4 GB RAM. According to ARM the performance per MHz is a lot better and even surpasses a Cortex-A9 core. The integrated Adreno 405 is clocked with about 500 MHz and supports DirectX 11.1 incl. hardware Tesselation, OpenGL ES 3.1 and OpenCL 1.2. The integrated wireless radios support WiFi 802.11ac, Bluetooth 4.1, GPS, 2G, 3G and 4G (LTE Cat.4) standards. Futhermore, the SoC is able to decode 1080p videos in H.265 (encode only in H.264) and cameras with up to 13 MP. The power consumption of the chip is ranging in the mid range, and therefore it is also suited for smaller smartphones.